Professor Gillberg is a world renowned autism researcher who has developed the concept of ESSENCE (Early Symptomatic Syndromes Eliciting Neurodevelopmental Clinical Examinations), recognizing the overlapping symptoms of ASD, ADHD, Oppositional Defiant Disorder/Conduct Disorder (ODD/CD), anorexia nervosa and other eating disorders, intellectual developmental disorder, communication disorders, dyslexia, epilepsy, cerebral palsy and others. 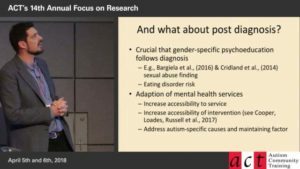 In this thought provoking presentation, Dr. Gillberg makes the case that while these are common childhood onset disorders affecting about 10% of the general population, with early recognition, psychoeducation and other targeted interventions, adaptive outcomes in adult life can be improved. 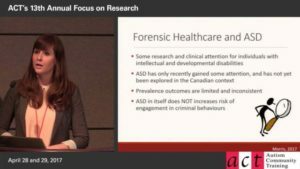 This presentation was recorded in 2017 at ACT’s 13th Annual Focus on Research Conference, held at Simon Fraser University in Vancouver, British Columbia. ACT appreciates Dr. Gillberg’s generosity in allowing us to include it in Autism Videos @ ACT. 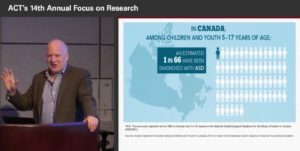 This presentation was followed by Dr. Gillberg’s lecture Girls and Women with Eating Disorders – Why are ASD and ADHD Missed? also available via Autism Videos @ ACT. Recognize symptoms of ESSENCE/neurodevelopmental disorders at all ages and refer for appropriate assessment. 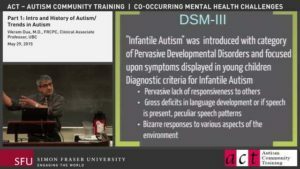 Understand the basic mechanisms underlying ASD and ADHD. Analyze how “primary” ESSENCE lead on to “secondary” outcomes including psychiatric disorder, substance use disorder, criminality and physical ill-health. Dr. Christop her Gillberg is Professor of Child and Adolescent Psychiatry at the University of Gothenburg, Sweden where he heads the Gillberg Neuropsychiatry Centre. He is also Visiting or Honorary Professor at the Universities of London, University College London (Institute of Child Health), University of Glasgow, University of Edinburgh, and Kochi University, Japan (where he is involved with the Japan Environment Cohort Study/JECS). 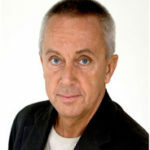 Christopher Gillberg is considered the most productive autism researcher in the world, and is on Thomson Reuters 2014 list of the world´s most influential researchers (all fields) because of the number of citations of the many peer-reviewed scientific papers he has published (600) relevant to children´s and adolescents’ mental and neurological health. His research interests included ASD, ADHD, Tourette syndrome, intellectual disability, epilepsy, behavioural phenotype syndromes, depression, reactive attachment disorder and anorexia nervosa. His research ranges from genetics and basic neuroscience through epidemiology and clinical phenomenology to treatments/interventions and outcome. He has written 31 books, which have been published in more than a dozen languages, several of which are standard textbooks in the field of Child and Adolescent Psychiatry and Autism. 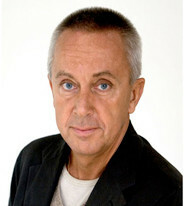 He is an honorary member of the Swedish National Autism Society and ADHD Society (“Attention”), and a member of the Norwegian Academy of Sciences. Visit Dr. Gillberg’s blog. Christopher Gillberg and his team of experts offer their opinions each week on the latest happenings in the world of neuropsychiatry and mental health (ESSENCE). Part 4: What are the Symptoms of ESSENCE?